I don’t think so Tim! All machine shops are not created equal. How you treat your customers will have a big impact in how they treat you. In other words, if you treat your customers in a highly professional manner they will become better customers. Now I am not talking about giving up profits to make this happen. Buying a customer’s business through deep discounts will not make him a better customer. As soon as you start charging a realistic market price, he’ll be off to the next guy who will give him a deal. And if you do give up too much …how can you expect to stay in business? What I’m talking about is real service to your valued customers. Remember, if you’re not taking care of your customers, let me assure you your competition will. Even if you never hear a discouraging word directly from a customer…. the result may still be a lost account that will be very difficult, if not impossible, to bring back. Do you have a customer who used to be a regular in your shop, but now you don’t see them? Why is that? Did they move away? Why don’t they stop by anymore? What can you do? If you’re unable to open your shop to the public because of insurance or liability issues, you can still show it off by installing a picture window between the showroom and the shop. Your customers can see what’s going on and you can keep an eye on the shop at the same time. I am a firm believer in having finished work pieces up front for all to see. Add an information card next to each piece explaining what was done, by who and why it was done. This by itself keeps the customer interested in your shop even if you’re busy on the phone or with another customer and can’t get right to them. While they’re waiting they can read all the information you have about your shop and its abilities and, of course, your people. I also suggest you call your shop from a different location – one your employees won’t recognize. Hear what your customers hear directly from your counter people. Call in just like a customer would, ask questions just like a customer, and grade their responses. Do not use this as punishment; this information should only be used to improve how your people are dealing with the customer. If your team needs improvement, set up a meeting and bring the service factor into that meeting and as a team create a program that tells those customers that you want their experience to be the best possible. If you have an outside sales representative, create a report card that he or she can drop off during sales calls. Ask your customers to fill it out and mail it back to you. Be honest on what you are trying to accomplish. Let your customers answer those hard questions about your quality and your service. Send a thank you to everyone who responds and create a plan to respond to their concerns. I am a big believer in having an open house to show off your shop, your workplace, and of course your employees. This lets the customers know you do care about their business and it’s a good way to promote a new service or new machine you just got in the process. I was at our local parts store the other day with a dead starter from my pickup. I had already used a hammer to convince the starter that it should work but it didn’t like that at all. So I had already resigned myself to buying a new starter and was prepared for a big cash layout. I stopped in the shop to say hi to the cylinder head machinist and he directed me to their in-house starter expert. He bench tested the starter and confirmed it didn’t work. I grabbed the starter and was about to head up to the counter to make my purchase when he stopped me and took the starter out of my hand. I was at a lost for words (which if you know me, is pretty rare). He then said that all it really needed was a new lug and wire from the solenoid to the starter motor and he could fix it in one minute or less. I thought he was pulling my leg so I went to the front counter to get the price for a new starter. Just so you know, a rebuilt replacement starter for my truck was going to cost $130.00 exchanged. I asked the starter guy what I owed him and he said if I had more than fifty cents that would be too much. He gave me smile and my repaired starter and now all is well with my truck. Now, I know that story has nothing to do with valve jobs or boring engines or anything to do with engine work. But, it has a lot to do with service. Here I was, money in hand, desperate to buy another starter to get my truck running so I could get to work and write this article. They could have charged me that $130 for the new starter and sent me on my way, but they didn’t. It was the service from that auto parts store that saved my day and saved me money. I was impressed. Well you can bet that I must have told just about everyone I talked to for the next few days what had happened and how impressed I was by their service. And let me assure you, it had a great impact on where I shop for my future automotive needs. The next time I go to that auto parts store I won’t even need a quote because they have earned my complete trust. And I’ll wager I sent them some new customers as a result of telling that story so many times. Service is the key to your customers being satisfied. And if you do it really well they will tell no less than 10 other people just how good your service is (if you don’t do a good job, remember, they’ll tell even more people – even if they never say a word to you). I can’t stress this enough; if your customers are telling his or her friends and family how good you are it’s advertising you can’t buy and that’s the kind of advertising you can’t afford not to have. It’s the silent customer who walks away. A silent customer is a lost customer! A lost customer is looking for somebody else to service his or her business. Keep the customer! If I’ve said it once, I’ve said it a thousand times. You can’t machine until it’s clean. That statement really holds true when it comes to getting the work piece ready for the machining operations ahead. Even before you start the teardown, you can gather a lot of clues about what needs to be done. Encourage your counter guys to engage in as much conversation with the customer as possible. Just listening to him tell why he is bringing you this engine will yield tons of information that goes a long way toward understanding why the engine has failed. Of course if the engine could talk it would tell you all about its life. It’d be nice to have one of those little black boxes like airplanes have to record every aspect of the engine’s life, but until then, the spent engine components you are about to throw away will provide ample clues as to why it failed. Laying out the critical components for review will tell you a story of that engine’s life. It is like looking into the past to prevent a future failure. Look at the oil pump pick up screen. Can you see through it or is it clogged from not changing the oil on regular basis? The oil pan is a real talker if you listen. It’s there to act a reservoir for the oil, not to be a catcher’s mitt for an exploding engine. When that engine needs to be rebuilt take the time to look for any metal particles in the sludge. You can also cut the oil filter open and inspect the filter paper for metal. A filter-cutting tool works like a can opener and prevents any metal from the opening process from being introduced into the filter. Spread the filter paper out and with a bright light look for metal particles. These metal pieces can give you an indication of which component has failed or is about to fail. Look at the camshaft and inspect the lobes for abnormal wear. Don’t forget to look at the sides and the bottoms of the lifters. The crankshaft is next. Are there any blue burning marks around the rod or main journals? These blue or black discolorations are an indication of heat. Paint discoloration is also an indicator of overheating. Did the last builder put “heat tabs” on? Look to see if they are still intact. The center will be melted out, if overheating occurred. Next look closely at the piston skirt. If you notice scuffing only on one side there is a chance that the engine was started dry, or it could be the use of a sub-standard or improper head gasket. It is obvious that if you see the impression of a valve on the top of the piston it means just that…the valve was hitting the piston. Well duh! But hold on, the timing may have been off. Now if the piston is broken, there could possibly have been something like a nut or bolt accidentally dropped into the carburetor. Pre-ignition is indicated by melted and burned appearance of the piston crown cause by extreme heat. Detonation is post-ignition, and rings may be pinched tight in their grooves, also the piston may appear to be broken. A cracked spark plug insulator is also a good indication of detonation. Measuring the bore will tell you how well the last shop bored and honed the block. Look at the valves. These critters really hold a lot of information concerning the engines running life. If the valve face is burned or torched, this could be cause by poor seating. Contributing factors include, lack of clearance to the valve guide, pre-ignition, defective cooling system. If you see cupping or tulip-ing of the valve head it indicates improper air/fuel mixture. I lost a motor once coming out the mountains of Colorado. The motor tuliped the valve heads due to the extreme altitude I was in and not stopping until several hundred miles later at a considerable lower altitude. The computer did not have time to re-adjust itself to the lower altitude. I learned when you come down from 14,000 feet to about 900 feet without stopping something’s gonna give. Yes, I got a rebuilt engine from a local engine builder and I learned my lesson…. take a break when going down hill fully loaded. Bent valves will generally tell you a timing chain or belt has let go but broken valves are another story. When the head breaks off it is generally caused by over revving the engine, weak springs, or valve float due to over revving, or sometimes even a stuck valve stem. Yes, it could even be the guide to seat alignment. Concentricity is key to any valve job. Breaking off the top or tip by the keeper grooves could be not paying attention during assembly, worn keeper grooves, or excessive valve train clearance. Look at the rod and main bearings. You can tell if a lack of oil brought you this job. If an oiling problem is inherent in this engine’s shortened life then you will need to insure all oil galleries are cleaned for proper oil flow. Bearing failures occur 45.4% of the time due to dirt! Around 11% of the time it is due to lack of lubrication and only 3% of the time due to the finish of the crankshaft. A normal wear pattern on bearings should be centered and cover 2/3 to 3/4 of the bearing surface area. Thrust bearing failure is caused by constant pressure of the crankshaft against the thrust flange of the bearing and can be caused by improper clutch adjustment. Now that you’ve examined all of the components and learned everything you can, it’s time to start cleaning. Cleaning the bare heads and blocks in your hot tank or jet washer will get most of the gunk and oily goo off of the outside. 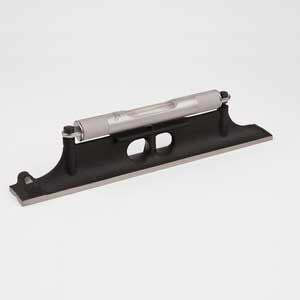 There is a really cool tool called the “ Super Scraper” that uses a solid carbide flat blade to shave gaskets off. Run it about 30 degrees off the deck surface and this bad boy will remove that gasket fast and without damage to the base material! Be sure to remove the all the freeze plugs and all the gallery plugs. For the block run a long cleaning brush through each and every gallery hole. Extra long brushes of 24” to 40” long are available for this job. Gallery plugs can be a real chore to remove. There are special tools designed for this task. They have a tool steel square end that fits into the gallery plug and are driven by an air impact wrench. For those real stubborn plugs you can use the old stand by….a red bud torch and some beeswax. Heat up the gallery plug, remove the flame and touch the beeswax to the plug. The heat will “wick” the beeswax into the threads and allow you to remove the gallery plug easily. For those overhead cam cylinder heads there are vertical oil galleries that need to be brushed out as well. Crankshafts have oil holes and can trap all kinds of foreign stuff. Run the brush before and after grinding to insure no contaminants are left behind. Carbon in the combustion chambers of the cylinder head took a long time to build up, and it’s not easy to remove. I have heard of soaking the entire work piece in carburetor cleaner, but the smell is horrible and it’s really dangerous. Wire brushes and sanding discs are labor intensive and probably do more damage if used improperly. Instruct your clean-up person to not touch any gasket surface with wire brushes or abrasive discs. Ultra sonic cleaners do a pretty good job, but the old glass bead machine is still the go to unit for this job. Before you put the work piece into the glass bead machine, cover the oil holes with some modeling clay or get yourself some “Plug-IT”. Just pinch off a piece and knead it between your fingers, then apply it to the head oil hole and completely cover them. If you have a thermal oven for cleaning, the oil, grease, and carbon are burned off. When you put the work piece into the steel shot machine you will achieve an almost perfectly cleaned component…. right down to the bare casting. Aluminum is still cleaned in the glass bead machine or ultra sonic cleaner or you can change to stainless or walnut shells for your airless cleaner to do the aluminum. Keeping all of the small components like valves, springs, keepers etc. can be a challenge. There are a number of small parts holders available in the marketplace. Go ahead and invest in these little containers, save your coffee cans for other things. There are a number of plastic (ABS) organizers that really do keep those components from growing feet and walking around your shop. Especially when you are working on those multi-valve head over head cam cylinder heads. Some of those applications must have a gazillion parts for you to keep track of. Always label your parts baskets for what job and for which customer. This way when all the components come to the assembly area you don’t have to spend valuable time searching throughout the shop. Prior to assembly, recheck all components to insure all cleaning was properly performed, and the components are machine and ready to go. I still use Tide soap and a large clean nylon brush for final cleaning of the cylinders. Lay everything out in an order conducive to its assembly. Keep your hands clean, and I know you will have a finished job you and your customers will be proud of. See ya in the shop! Your crankshaft grinder probably represents one of the single biggest investments you’ve made for your shop. Most of you purchased your grinder to insure quality, delivery and to enhance your shop’s ability to be self-sufficient. Hopefully you and your employees are taking good care of this sophisticated and expensive machine. To help you out, here are the basic maintenance requirements for keeping your crankshaft grinder in tip-top shape. When was the last time you checked the level on your crank grinder? This is an essential and fairly easy operation that will guarantee quality output from the grinder. Use your machinist quality level for this operation. This isn’t a level for construction, like you’d find at a home center, but one specifically for machinists such as those from Starrett®. Traverse the table left or right to expose the flat ways on the table. You may have to remove the splashguards to get to this area. Place the level on the flat headstock or tailstock way. This will allow you to level front to back. Some operators like a little back tilt to facilitate the coolant flow back to reservoir. To level left to right, traverse the wheel head back as far as it will go. Again, you may have to remove the splashguard to get to the ways. Make sure your leveling bolts have steel pads for support. If you don’t have level pads, take some flat stock 2″ x 2″ and counter sink a 3/4″ dimple in the center. These pads distribute the load and help keep your machine level. Double check everything and lock it down and re-install any splashguards that were removed. If your machine has wooden rollers and reservoirs for table and wheel head lubrication this is a good time to clean them out and give them fresh way oil. Check these oil cups monthly to insure they are always full. That lubricator pump located in the front of your machine lubricates the wheel head slides ways. This pump is manually operated and a simple pull two to three times daily is all that’s needed to keep proper lubrication to this important area. Keep in mind on some machines this pump will also provide lubrication to the gears in the front gearbox. Make sure you always use a high quality way lube! NO MOTOR OILS! The wheel head spindle is a totally different type of system than the ways. The wheel head spindle runs in a constant oil bath. Some machines have two or three sight glasses to view oil quantity. The oil level should be high enough to cover the oil level window located on the front lower portion of the spindle at rest. The upper sight glasses should be covered when the spindle is operating at speed. If you can’t see through these sight windows, replace them ASAP. Also be sure to keep the sight glass clean; it’s your only indication that you have adequate oil to the spindle. Most manufacturers recommend that the wheel head spindle oil be changed 250 to 300 hours after set up and every 900 to 1000 hours after that. Be sure you only use the spindle oil recommended by the manufacturer. The headstock and tailstock spindle bearings are pre-lubed on later model machines, but the tailstock quill should have oil cups that periodically need to be filled with way oil. If you have a hydraulic machine, the hydraulic oil should be change after the first 250 to 300 hours of operation and 2500 to 3000 hours after that. When you do decide to completely drain the reservoir and replace the hydraulic oil, take extra time to remove any film or scum that’s built up on the walls of this tank. Wipe it clean before you add the new hydraulic oil. Use only the highest quality hydraulic oil capable of 500 PSI/MIN. Some machines have a sight glass on the hydraulic tank to see the level of fluid. If your machine has a pneumatic float system for the headstock and tailstock, there is a pneumatic lubricator the needs to be checked. Keep an eye on it and fill as necessary with light machine oil or air tool oil. The coolant reservoir in later machines is mobile and easy to take to the teardown department for a proper cleaning. If you have an older model you’ll have to hold your smallest employee by the ankles to insure you can get to the entire coolant reservoir for cleaning and removing the sludge that builds up from the grinding operation. An easy solution is to use a filter sock on the return/drain hose. This filter sock will trap the chucks of swarf and keep them from entering the reservoir. Believe me it’s easier to change a sock every week than it is to scrape out that swarf build up. You can wash the filter socks and reuse them, just don’t let them get in the house laundry; take them to a coin operated laundry down the street for cleaning. Here’s another tip for you. Put some magnets in your coolant reservoir as well as add magnetic strips in your coolant return troughs. These magnets will collect the metal particles from the coolant. By removing the metal particles you will extend the coolant life. You can get magnets and filter socks from your favorite shop supply company. Synthetic coolants need to be mixed according to the label on the container. Too much coolant in the water and your dial indicators will be sticky and you’ll have a heavy film of goo to clean off the machined surfaces. Too little coolant in the water and you run the risk of premature rust throughout your coolant system. Microbes or bugs are lurking everywhere just waiting for that hot summer afternoon to grow and cause a stench that would make a vulture leave a gut wagon. Check coolant levels daily during the summer. You’ll have natural evaporation and will be adding coolant as well as water to keep the mix just right through the dog days of summer. If you get behind in this part of your maintenance you can add some Microbiostat to control the bugs or bacteria and fungi that join together to make up this horrible stench. Are there knobs and dials missing from your control panel? Are you using a pair of vise grips instead of the OE dial? Stop right now and get on the phone and replace those damaged switches and control knobs. The wheel head drive belts will stretch over time so they will need adjustment. Squeeze the belts together – total deflection of about ½”. If you can’t adjust out the stretch and your belts are squealing; they need to be replaced. Always replace the belts in matched sets. You have some high-accuracy bearings in the headstock and tailstock. These bearings are adjustable on most machines. Never allow just anybody to perform this adjustment. Consult your owner’s manual and call the tech department to get advice on doing this adjustment the right way. Most machines also have a clutch that engages the headstock rotation. This clutch also will need to be adjusted periodically. Again, read your instruction manual for this adjustment. Your machine has 8″ or 10″ 3-jaw high precision chucks. These chucks are constantly being splashed with coolant and swarf. They need cleaning and the dovetail slides have adjustable gibs. Remove the chucks from the machine, note the phasing of how they are mounted to reference when you are ready to re-install. Take them to the solvent parts washer, and using clean solvent, start removing all the old grease. This is the time to remove the jaws. Make sure to use the chuck wrench to rotate the scrolls and remove the backing plates to insure all of the old grease is removed. Spray all the components down with some brake clean to remove any residue left from the solvent and take them over to a clean workbench for reassembly. Be sure to wipe off all surfaces and using a bit of chuck grease, re-assemble the chucks. Before you re-install the chucks take the time to clean the cross slides. You can use solvent and brake clean here as well. Be careful not to get any brake clean on a painted surface. Use the same grease for the cross slides as you would use for the chucks. Now you can re-install the chucks. NOTE: These chucks and cross slides need to greased with high quality lithium based grease with moly. You can use lithium based extreme pressure grease. As always check with the manufacturer if you are unsure of the type of grease to use. Take the time to deburr the table. You can buy a de-burring stone or use a broken piece of an old crank wheel soaked in solvent to remove any nicks or raised dents on the table. Check all of your dial indicators for free dial movement. Replace any worn or broken indicator contacts. Keep your in-process sizing gauge or Arnold gauge clean and free moving. Check the steady rest shoes for wear and replace as necessary. Steady rest shoes are available from the manufacturer or any full service shop supply company. One more thing, if you are using your high dollar crankshaft machine as a polishing lathe, you are setting yourself up for pre-mature wear on all of the moving components. The un-controlled flying debris (abrasive and metal particles) created during the polishing process is getting into places you don’t want them to go. Spend the money and buy a polishing lathe. For an investment of just over $2000.00 you will prolong the life of your crankshaft grinder and will give you a separate work station to do your crank polishing. Not all grinding wheels are designed to grind all materials. High performance and diesel crankshafts are harder than the standard Chevys and Fords. You need to have a specific grinding wheel for these types of crankshafts. Don’t buy your crank wheels simply on price. Buy your crank wheels from a reputable supplier who has the expertise in abrasives to advise you on which wheels are for what applications. There is a slotting process for grinding wheels, which will increase the ability of the coolant to get to the radius or thrust flange area when grinding. By getting more coolant to this area you will prevent burning and speed up your grind time. I highly recommend slotting for all high-performance and diesel crankshafts. Ask your supplier about slotting your crankwheels next time you order. Keep your dressing diamonds sharp and rotate them periodically to insure your diamond maintains it cutting point. Keep in mind, a cheap diamond will not last as long, and can cause delays or surface compromises to the finish you are trying to achieve. Remember your crankshaft grinder represents a serious investment. It is also there to allow your shop to produce the highest quality component for the engines you build and sell. Keep this machine is tip-top shape, and it will last a very long time. If you don’t you will surly compromise your investment as well as your reputation for quality components. It’s that time of year again. The racing season is underway. Spring is here and hopefully your shop is getting busier. Before it gets too hectic, it’s time to do some spring-cleaning in your shop. The first stop is the first place your customers will see – the front counter. Get rid of any old magazines and replace them with new ones. Clean off the counter, take out the trash, wash the windows, replace any burned out light bulbs. It doesn’t need to be spotless, but it’s your only chance to make a good first impression. Now for the shop itself. The first stop is the teardown and cleaning department. Clean the floors and organize all of your tools in a way that makes teardown, inspection, and cleaning of an engine and its components faster and easier. Make sure all of your airlines are free of moisture by checking or installing a water separator. Lubricate all air tools according to manufacturer recommendations. Clean your air hoses and double check the fittings to be sure they don’t leak and are easy to hook and unhook from the various tools. Check your glass bead machine – empty the dust bag and examine the viewing glass for scratches or deterioration that may obscure your ability to see what you’re working on. Also check your nozzle for wear then test the air pressure. Most machines should be set at 80 PSI; any more that that and you will pulverize your beads prematurely and spend unnecessary dollars on glass bead replacement. Test the strength of chemicals in the hot tanks or jet washers. You might want to clean out the build up of sludge in the reservoir. This can be done in most machines without completely draining the water. You can fabricate a scoop with drains to get the crud out but leave the water in. Add water and chemical as required. Check your stock of parts tags and metal markers and order a fresh supply if necessary. In the cylinder head department check the air lines, adjust the air regulator to the minimum requirement for the machines or tools they feed to and check the water separators to insure they are doing their job. Clean out the reservoir of your valve refacer and add new oil. Check the diamond and the wear on the grinding wheels and replace as necessary. This is also a good time to check the drive belts and pulleys. Your seat and guide machine should be clean. Dump the chip tray and vacuum out all the nooks and crannies that attract and hold the chips that don’t make it into the chip tray. Inspect all the slides, gibs, and tables for any nicks or burrs and remove as required. Make sure your level is level then level the machine (for more on this, check out the Machine Maintenance column in the May 2003 issue of Engine Builder). Inspect all tooling for wear, call your favorite shop supply company and order new tooling as required, also send out tools that can be resharpened. If you have a seat grinding kit, look over your stone and pilot inventory and replace as necessary. Check the point on your dressing diamond. If you have a wet grinder, inspect the coolant reservoir and clean and replenish the coolant as required. Check underneath the table and fill the oil cups. Inspect the under rollers and insure they rotate without obstruction. Remove the tooling and examine the table and tooling for burrs and nicks. As with the seat and guide machine, make sure your level is level then level the machine. Inspect your valve spring compressors to insure the jaws are not worn or broken, add lubrication oil to the air spring compressors. Look at your head assembly bench, clean it up and deburr as necessary. Note the tool board to insure it is not only organized but also easy to reach. Do you have protective bags or boxes in which to put the finished heads and other components? Inspect the boring machine, checking all tooling for wear. Recalibrate your micrometers and re-level. Again, inspect your set up tooling for nicks and burrs and fix as needed. Clean up all the chips, and if you have an air float machine check the water separator and automatic oilier to insure function; adjust as needed. Check your drive belts and pullies. Inspect the column and confirm the seals are doing their job. Make sure all of your control knobs and speed dials are in good shape and not broken; replace as necessary. The honing machine should have clean honing oil; the filters should be fresh and remove any sludge from the reservoir. This would be a good time to install a new filter mat on top of that expanded grate under the rollover fixture. This is where you really need to be organized! A clean, well-lit assembly department is your key to a properly assembled engine. Don’t let an unorganized department create a come back or warranty claim for your customers. Wipe down the assembly bench. Organize all of your measuring tools. Create a special place to organize all of the components that are a part of the assembly procedure for either cylinder heads or the short block. There are several really cool organizers available for Cylinder Head, Pistons and Rods and now there’s even one for organizing Overhead Cam Components. Make sure your assembly lubes are sealed or covered when not in use. Also, make sure you are using lint free assembly wipes. Have some nitrile gloves for the assembler to wear during this process. It’s best to do the final painting away from the assembly department. You don’t want paint floating around this area to coat other components. Make sure you have plenty of protective storage bags for all of your finished work. Cylinder head boxes are great for shipment, and of course mark everything so it stays with the job. Put the customers name on the gasket kit, as they will need the balance of the gaskets from a master gasket kit for the valve covers, water pump, etc. Stand back and look over your shop. Are you impressed? If you are, chances are you customers will be as well. Your employees will be, and the end result is no comebacks. Keep it clean! Don’t forget, if you have more questions, contact the Goodson Tech Department at 1-800-533-8010. Is Your Shop a Safe Place? Is your shop a safe place to work? Good questions, isn’t it? What do I mean when I say is your shop safe? Let’s put everything into perspective. One injury could potentially cost you everything. Lest you think I’m being overly dramatic, consider this … while working on an important job your top machinist gets a piece of metal in the eye. You take him to the hospital, probably spending several hours to get him fixed up. The doctor tells you that he has to take the rest of the day off – at least. What have you lost so far? Your most productive machinist’s time, your time and now you’re behind on an important job jeopardizing your income and your relationship with your customer. Plus, your health insurance rates may go up, not to mention your worker’s comp rates. The next day, if he’s able, he’ll come back to work, but not at 100%. Will the damage to his eye cause him to misread a micrometer or maybe a torque spec? Any numbers of things are now compromised due to this unfortunate situation. Heck, you may even be the one who ends up filling in during this time, so who’s doing your job? This scenario is a pretty simple one, but what if the injury is more debilitating or perhaps fatal? As a business owner, you could lose everything. What are you going to do? The best thing is to prevent injuries from occurring in the first place. Secondly, you must have procedures in place to respond quickly and appropriately to any such emergency. I know it sounds corny but, corny or not, safety in the shop should be a top priority! But where do you start? Let’s take it from the top – eye and face protection. Wear your safety glasses. No exceptions PERIOD. Another common work related injury is hearing loss. OSHA estimates that 10 million people in the US have noise induced hearing loss and nearly all of those cases are a result of exposure to noise on the job. You cannot “toughen up” your ears so that you’re not bothered by loud noises. If you’re not as sensitive to loud noises as you once were, you’ve already lost some of your hearing. Just as with eye and face injuries, hearing loss is easily preventable. Each and every employee in your shop should have hearing protection based on the job they are performing. This could be anything from simple foam earplugs to custom-made headsets. The best hearing protection device is the one that you wear and wear correctly. Now that your eyes and ears are properly protected, let’s look at the shop. The cleaning department is one of the most dangerous departments in any shop. All the mess is there, it’s generally hot, and things are flying apart faster than an out-of-balance helicopter rotor. Plus you’re working with very hot chemicals, wire brushes, gasket scrapers, etc. Liquids are dripping all over the place, making the floor slippery, so make sure to have floor-sweep or oil-dry to quickly clean up spills as they occur. Keep the air-line pressure down. A face full of air at 175 PSI will do damage in a heartbeat. Yes, it’s quick to blow off parts, but be sure you know who and what is next to you when this is done. A better solution may be to use an industrial strength shop vacuum whenever possible. In fact, you will probably want to have a couple of vacuums, one by the surfacing mill and another by the boring bar. Vacuum up the chips after each job and not only do you reduce the debris that can cause injuries, but end-of-day clean up will go much faster. In a perfect world, every shop would have a painted walkway that is kept clean at all times. Not only does it look good, but it also provides a space where nothing can be set, stacked, stored, laid, or leaned. I know it sounds difficult, but it’s relatively easy to do. Outline your workstations and determine how much space to allow for each machine, and mark it off. Once you have the machines marked off you can then create a line of travel that, if done right, will improve the traffic flow in the shop. This will provide some personal workspace for which each operator can be responsible. Everyone shares the burden of keeping the shop organized, clean and ready to go every day. This design is great when you bring your best customers through on a tour. They will see how organized your shop layout is and know that you care enough about the quality of your work and the safety of your workers. Make sure you make them wear safety glasses when they tour your shop. Keep extra pairs up on the front counter so there is never an excuse to not wearing them. Every shop should appoint a safety coordinator. Pay for him or her to take the basic first aid class at the local hospital, high school or Red Cross. The classes generally don’t cost much and you get to motivate an employee in the process. Rotate the title (and the responsibility) every year. This way everyone in the organization gets the same training and the opportunity to be safety coordinator. Contact your insurance company and invite your rep over for a tour. Why? So you can let them know you are taking workplace safety seriously. Some insurance companies even offer discounts based on your ability to prevent accidents. Put up a sign next to your shop’s master calendar that you have gone X number of days without injury. Let your customers know that you run a safe shop. It shows you have quality on your mind. Here is a short list of items every shop should incorporate into their safety program. A First Aid Kit that’s easily accessible to everyone. Look for one that includes items such as: activated charcoal (use only if instructed by Poison Control Center), adhesive tape, antiseptic ointment, adhesive bandages (assorted sizes), a blanket, cold pack(s), disposable gloves, gauze pads and roller gauze (assorted sizes), disinfectant hand cleaner, plastic bags, scissors and tweezers, a small flashlight and extra batteries, Syrup of Ipecac (use only if instructed by Poison Control Center) and triangular bandages. Mandatory safety glasses on all employees. Proper steel-toed boots or shoes. A sign that’s says, “keep out” unless you are an employee. Easily accessible fire extinguishers rated for the type of fire that may occur. Be sure that each of your employees knows how to use the extinguishers and properly put out a fire. Facial dust mask and/or respirator depending on the type of work being done. Face shields. These are especially important in areas where sparks or debris may fly. Gloves, but not cotton. For best protection, use machinist gloves made of leather or an equally strong man-made fiber. Steel toed boots or shoes for every employee. Hearing protection for each employee based on his or her job. Full-length work apron of a durable material such as denim, rubber or heavy vinyl for the cleaning department. Arm protection such as shoulder length vinyl gloves or Kevlar sleeves depending on the tasks. Insulated gloves for hot tank work. Heavy-duty heat-resistant gloves for the thermo-cleaning oven. Regular safety training for all employees. When it comes to shop safety, remember that even if you’re not the one who gets hurt, you’ll still feel the pain. Get yourself a pedometer, attach it to your belt and at the end of the day see how many miles you’ve walked around your shop. You’ll probably be surprised. Now, step back and imagine how you can reorganize your shop to reduce the distance you’re walking every day. Not only will your legs and feet feel better, your productivity will improve. The front counter is your customers’ first look at your business. It should be well lit, clean and organized. Add some graphics to dress it up. Contact your parts suppliers to see if they have banners, posters, etc. that you can use. Make sure it has seating for your customers when they are waiting. I suggest that you display some of your finished work pieces for the customer to inspect. Add a card that describes what machining operations have been performed on a particular set of heads or engine. If you sponsor any local racers have them sign a photo of their car and hang it on the wall. Have coffee or water available for your customers. You may also want to have current industry magazines in a rack, especially if your shop has been featured in one of them. Don’t let your front counter become a black hole of accumulated stuff that makes the place look disorganized. As soon as a job is checked in, it should go directly to the staging area for its intended department. The necessary labor forms, pricing schedule and basic inspection tools such as micrometers and dial calipers should be readily available to your counter people. If you can afford it, have all of your front line people dressed in attractive, clean shirts screen printed or embroidered with your company name or logo. Your entire staff of machinists should be in uniforms as well. This will tell the customer that you’re a professional shop that does quality work. Is the teardown area well lit? Does it have a big metal tear bench? Where is the jet washer? Is there a rinse booth? How are all the customers’ engine components identified? Where do you store the cores? Keep your cleaning and inspection processes in a separate area. This will prevent contamination from spreading into the machining and assembly areas. Clean, inspect, label and identify the necessary machining requirements. Take a look at the distance between related machines. Is the boring bar located near the honing machine? How about your pressure testing and crack repair stations? Are they arranged in a logical work order or are they spread at random? A little logic in your shop set-up can reduce the number of steps as the work pieces travel through the shop and can allow the use of lifting equipment or overhead hoists by more than one department. Make sure your assembly area is clean and organized. Are necessary tools and components in easy reach? Have an area to store finished work pieces for easy retrieval. Be sure to identify all finished work and protect them in plastic bags or heavy-duty boxes so your hard work doesn’t get damaged while in storage. Okay, you’ve got your shop organized. You can’t stop there. You can have the most organized, cleanest shop in the world, but if your service is sub-par, your business will suffer. If you say a job will be ready by 5:00PM on Friday, then make sure its ready to go by 4:30. If you’re running behind call the customer right away and let him know what is going on. Never, and I mean never “tomorrow” your customers to death, as it will probably be the last job you receive from them. Also, if you discover that additional work needs to be done to a work piece, call to get approval before beginning the work. Provide the customer with a check off sheet signed by the each department to show that each operation was quality check and approved by that department’s foreman. Don’t forget to supply the necessary related items for that job. You can increase your counter sales if your people remember to go through a check out list of related items the customers will need. All engine jobs need gaskets, gasket sealer, paint, belts, hoses, clamps, etc. You can actually increase your sales per job and insure your customers are getting quality support products for the job. Be sure to offer any torque specs or how-to information for reinstalling the job. And always say thank you! I personally believe every shop in America should have an open house once a year. Invite your best customers as well as potential customers. Give shop tours – this is the time to really show off your shop, your employees and your company’s machining skills. Invite some of your suppliers to talk to your customers about why you’ve chosen to use their products in your engines. Have fun; offer some door prizes, like hats or t-shirts with your company name on them. Give away a free valve job as the grand prize. You will be surprised by how much goodwill one afternoon can create for your shop. People will tell other people about your skills and services and word of mouth is the best advertising you’ll never have to pay for. If you have your shop together, your employees will work smarter and faster and your customers will be impressed, which will confirm they made the right choice in bringing you their work in the first place. Want to improve efficiency and profits? Get your shop together! Remember, if you have more questions, contact the Goodson Tech Department at 1-800-533-8010 (customers outside the US & Canada, please call 507-452-1830). This article is not here to teach you how to properly hone a cylinder bore. It is here to keep you informed on how to maintain your honing machine so when you do hone your machine is ready to hone and not moan! Let’s start with one of the main ingredients of honing, the honing oil. Automotive type transmission fluid is NOT honing oil. Period! Don’t let me catch you using trany fluid in your honing machine. Honing oils are not all alike either. Always use the highest quality honing oil from a supplier you can trust. It is essential that you keep your honing oil clean from debris as well as try to minimize the actual content of swarf. Swarf is the combination of honing oil, broken down honing stone abrasive from and severed material you are honing. Your first line of defense against swarf entering your filters is honing filter paper. This filter paper comes in a variety of sizes and can be easily cut to fit your machine. Your next step is to replace your filter. Most machines have a cartridge-type filter while some use a spin on oil filter like you have on your car engine. These filters will clog and need to be changed on a regular basis. If your machine doesn’t have a filter, you can always rig one yourself. I saw a shop that had incorporated a remote type spin on oil filter from an automotive application and put it in line with the coolant pump. Keep in mind that an automotive oil filter might be too fine to flow your honing oil properly. Keep experimenting until you find one to suit your needs. I recommend adding a magnet to the equation to remove the metal particles from the honing oil. Something as simple as a horseshoe magnet, or better yet, a magnetic type strip will greatly improve the removal of metal from your honing oil and prolong the oil life, resulting in faster, honing with less stone loading. Okay, let’s take a look at honing stones. Stones are made from a variety of abrasive types, designed for the material you are honing. They are designed to breakdown and, if used properly, you should see even wear throughout their life. However at times they will become loaded, clogged or glazed over. You can use a special diamond dresser or you can use one honing stone against another to unload the pores of the grain to make them more free cutting. In the event they become worn unevenly you must re-true them with a hardened truing sleeve. Truing sleeves are readily available for 1″to 6″ diameters, and every shop should have one for the 3-1/2″ to 4″ range, however you may need to fabricate your own for the larger diameters. Clamp the truing sleeve into your fixture and expand your stones to work the taper out of your honing stones. It sometimes will take a while, but it will be worth the effort to save that set of honing stones. Never use cleaning solvent to clean your honing stones, solvent will attack the bond of the stone making the bond harder and affecting the result of the stone’s finish. Once in a while or at least twice a year you should drain out all of your honing oil and scrape out the goo that forms over time. Use a degreaser to thoroughly clean the entire reservoir of your machine. Replace your filters and add new, fresh honing oil. Also, look over your machine to insure any grease zerts are greased. Oil the traversing bar that allows the left and right movement of the honing head. Some of these machines hone heads are direct-drive with a gearbox and others are belt driven. For the gearbox change the fluid according to the manufacturer and for the belt driven machine, clean the belts and pulleys and adjust the belt tension according to the manufacturer’s recommendations. Look at the cover of your drive motor and fan, and clean if necessary. Wipe down your dial bore gauge and make sure it is calibrated accurately. Spray electrical contact cleaner into the spindle movement of your dial indicator. This will also flush out the indicator so it moves freely. Another tip is to rotate the carbide contact balls and contact centralizer rings. Always store your dial bore gauge back in its case or in a drawer when not in use. Remember honing is the final machining operation prior to installing the pistons into the cylinders. If your machine is clean, accurate and always tuned up, your end result will be what you wish it be. So, you finally decided it’s time for a new cylinder head machining center? Congratulations! You’ve made a great decision that will increase the profitability of your shop. In the old days (last year) they were called seat & guide machines. They originally started out as simple drill presses modified to do two basic machining operations, hence the name Seat & Guide machine. Now they are designed to not only perform the most basic of seat and guide repair but to perform very intricate seat angle cutting, bowl enhancing, spring seat pad work and a host of other very involved machining operations. There a few that also do fly cutting of cylinder heads surfaces, or machine the intake or exhaust manifold. There are even a few that do align boring on a block. The features incorporated into these late model machines provide the operator with the most accurate set up available. These machines are not what your father used to drive. They are state of the art machining centers and they’re a lot faster than their older brothers. Let’s face it, when you went out and invested in this new state of the art equipment, some or a great deal of that investment is in the tooling. That tooling needs proper care – especially if you want your new machine to perform according to the manufacturer’s specs. These newer machines don’t have a clue that your tooling is dull, bent, nicked, burred, or not the correct size. They do exactly what you direct them to do, and if your tooling is not up to spec you’ll trash a work piece in record time. Most of these newer style machines incorporate the latest in tooling for three-angle seat cutting. This consists of very special cutter blades, carbide pilots, extremely sensitive leveling systems and an upgraded mounting fixture. Most feature a tool board to store and make ready the necessary tooling. This tool board organizes the tooling and provides some protection for the tools when not in use. However, the operator has a huge responsibility to insure the tooling is in tip-top condition at all times. Carbide tooling comes in a variety of forms. You have carbide counter-bore cutters, valve guide pilots, core drills, core reamers, ID reamers and single or multi angle cutters. Carbide is the most affordable material that provides long life, holds size and can be formed into a variety of shapes and is readily available. However, it needs tender loving care. Carbide by its very nature is more brittle than high-speed steel. Due to engine manufacturers putting as many five valves into each cylinder, some with stem diameters as small as 4.5mm the only way to have any chance of seat centricity is to use a solid carbide pilot. Let’s face it; with all three angles being machined simultaneously the weak link in the equation is the pilot. The high-speed steel pilot is actually bent over by the cutting pressure. It can flex by as much as .002″. To hold centricity the automotive aftermarket started making pilots out of solid carbide. While carbide is very stable, it is also very brittle. If you drop a carbide pilot onto a concrete floor you will have many smaller, unusable carbide pilots. Since carbide pilots can cost a pretty good chunk of change, it’s in your best interests to treat them with the utmost care! It makes it more comfortable for your operator. It provides a somewhat soft landing for your tooling. Store your pilots away from each other during when not in use. That’s what all the little vertical holes in your tool board are for. Don’t let them bang away at each other in a drawer. Organize them according to size; mark your tool board so you know when one is missing. Always wipe the pilots down when done, which cleans the machining dust off and prevents that dust from transmitting into the next job. Periodically check the top and bottom size to insure they are still accurate. They will wear over time. Replace as necessary. These little guys are the real worker when it comes to cutting the seats on multi-valve overhead cam type cylinder heads as well as performance and diesel cylinder heads. Although they are readily affordable they are not free. Take a magnifying glass and inspect the cutting edge, look for nicks, burrs and burn marks. If you find damage, you can sharpen the cutting edge. It won’t reshape the degree of angle it just sharpens the cutting edge. Keep the tips in a protected environment to prevent them from banging against each other. Be sure to keep the little plastic sleeves that your supplier always ships them in. When you acquire enough of them, take the time to mark the out side of the box and then only store that blade in that box. Over time you will have a complete and well-organized inventory of tips. In a perfect world you would have your most popular tips installed in holders and ready to go for the next job. Another tip to prolong the life and improve the cutting action of your tips is to use a cutting fluid. I found some stuff that really works well. Counter-bore cutters are generally fixed in size and the carbide tips are either indexable and replaceable, or they are brazed. They are available in a variety of sizes and some manufacturers offer a fully adjustable type of counter bore cutter. Again don’t let them come in contact with each other and periodically inspect for chips or burrs. They can be resharpened or rebuilt by a quality supplier. Always test bore or measure them prior to using them on a customer’s cylinder head to insure the counter bore size is correct. The core drill is the tool for cutting out integral-type valve guides. Core drills are made mostly from high-speed steel, but you can get them in carbide as well. Your core reamers are made from the same material and again you can’t just toss them into a drawer. Organize them according to size on your tool board. Periodically inspect the cutting flutes for nicks and burrs. Also look for overheating, this will create a blue color change in the flute area. Core drills and reamers can be resharpend by a quality supply house or take them to a professional sharpening service close to your shop. Finish reamers are used to size the ID of the valve guide. This sets the amount of oil clearance you choose for that application. They can be made from carbide or coated with Titanium Nitride. You will probably have one for each guide size known to man and have them .001 increments. If you run out of room on your tool board, I saw a clever idea in a shop a few years back. Take a 2×4 and drill 5/16″holes about 1″to 2″apart and bolt that 2×4 to your workstation. Then you can mark the board and organize them according to size. Most bronze guide liners being installed today are finished on the inside diameter by a carbide sizing ball. The neat thing about a carbide-sizing ball is, its carbide, it rotates as it is being used and by rotating it wears evenly and its life is greatly extended. Drop one of these little guys and you will spend a while looking everywhere for it. I suggest you put a tray (even a cookie tray) and (be sure to ask the wife first) under the cylinder head stands. I would even go so far as to line the tray with a rubber cushion so that when you send the carbide ball through the valve guide it will stay in the tray and the rubber cushion will prevent it from being damaged and keep it from bouncing onto the shop floor. Boring tips or brazed cutters are brittle and need periodic inspection as well as in house resharpening. Always store away from other boring tools and keep them sharp to maintain fast and efficient boring cycles. Remember your tools are your machine’s best friends. Take care of them! They will take care of you! If you don’t, that job you need to get out on Friday will be compromised due to the fact your tooling was not up to the challenge. Remember – be true to your tools and they’ll be true to you. Today we’re going to talk about resurfacing machines for cylinder heads and blocks. These machines come in variety of styles and configurations as well as many colors. There are belt grinders, dry grinders, wet grinders, broaches and mills. There are different designs from under-head to over-head types. These machines use coated or formed abrasives, some use carbide and later styles or models use CBN or PCD, some use coolant and some are operated dry. Despite these differences, they all have two things in common; they make a warped surface flat and they need the same care and attention when it comes to the daily maintenance necessary to maintain their accuracy and dependability. All of these machines have beds or tables that you mount the work piece to. They all use similar type tooling for the mounting of the work piece. This tooling needs to be qualified to the machine to insure accurate set up. For most machines you will do a four-point level. I recommend using a 12″ Starret level. Before you begin you need to be sure your level is calibrated. To see if your level is accurate simply place it on a surface you know is flat and take a reading. Then reverse your level 180 degrees. The reading should repeat. Even if the bubble isn’t directly in the middle as long as the reading repeats you know that the level is accurate. If it doesn’t repeat, do a quick calibration. Take a reading to determine how far the level is off. Now adjust the level, splitting the difference that it’s off. Again set the level back down on a surface, turn it 180 degrees and keep adjusting until it repeats. Now you’re on the level! Set your level on the ways of your machine or on the mounting surface of the table. Adjust the machine front to back as well as left to right. When you’re done all surfaces should read level. Double-check to be sure that the level repeats. If it repeats in all directions and the bubble now stays in the middle, you have achieved level. Now it’s time to determine if the table is running true. Mount a magnetic base dial indicator in the wheel head and touch it to the table surface. Traverse the table left and right to determine if the table is true to the wheel head. The table should run true at less than .002″ down the entire traverse of the table. If the table is off you will need to consult with the manufacturer to get the correction procedure. This is also a good time to check the level of the way oil in the oil cups under the table. You will notice a wooden roller that acts as a wicking device that coats oil on to the bottom of the flat and v-way of the table, providing a lubrication film for the table to ride on during the traverse. Next, its time to check the parallels to see how true they are. Again using a dial indicator and granite plate, sweep the parallels to determine if they are true. If they have run-out, the work piece will not be surfaced correctly. You may have to machine them true using a Bridgeport or other industrial-type machine. Now let’s indicate the cylinder head/block rollover clamps. Check these in the same manner you did for the table and parallels. Again, you may be making corrections on the Bridgeport machine. You’ll then want to indicate the rollover bar to insure it’s not bent. You may be surprised to find these mounting components aren’t true. But it’s better to know where you are rather than wondering where you’ll end up. That’s why you’re reading this article. It’s better late than never. Remember if your tooling is true then your work will be true. Always deburr your tooling with deburring stones, as this will clean up the nicks and other imperfections created during set up. Also deburr the table to remove imperfections that will affect your tooling set-up, which will ultimately affect the finished piece. Once all of the tooling has been measured and corrected you can reinstall it knowing that your next surface job will be set up accurately. Most grinding heads are held on with a tapered spindle and lock nut. When you replace the stones it’s a good time to remove and clean out all the bolt holes. You will want to run a tap into the threaded holes to clean out any gunk that has accumulated. Also inspect the wedge blocks for nicks and burrs. Deburr as necessary. Re-mount the head and install the new stones, make sure your new stones have good blotters on them. Never mount a grinding stone without a blotter. The blotter takes up any clearance and prevents the stones from loosening during the grinding operation. Snug up the bolts being sure not to over tighten, causing the stones to break. Big Caution! Never allow more than 1″ to 1-1/4″ of stone protrusion to extend below the clamping wedges. If you do, you may experience a few fragments in the drywall or worse, in your face. As always wear safety glasses or a safety face shield. Always be safe! After you’ve properly mounted the new stones test run the wheel head. Turn on the coolant and let it run for about two minutes. Shut everything down and recheck the segments. Tighten again as necessary. Run the machine again and recheck the bolts one more time and you should be ready to go. Dressing the stones is accomplished using a star type dresser generally mounted on the wheel head. This dresser is designed to dress the segments or stone in the manner designed by the manufacturer. Remember that the star-type dresser is designed to rotate. If it doesn’t rotate, get a new one right away. If your machine is equipped with a diamond dresser, check to make sure the diamond has a sharp point and be sure to rotate it on a regular basis. Keep in mind that your dressing technique can affect the way the grinding wheel acts. Fast dressing will give more grinding ability but the finish may suffer. Slow dressing will give you the finish, but it may cause the wheel to load up and require additional dressing. Adjust your technique according to the type of material you are grinding. If your machine uses coolant take the time to clean out the coolant reservoir, wipe down the table and drain back the galleys. Use a microbiostat to eliminate or kill the bacteria. It’s the bacteria that cause the odor in your shop, especially during the more humid months. If you keep your coolant at its proper mixture and periodically clean the reservoir this nasty smell will not waft throughout your shop. A clever way to rinse down the work piece as well as the inside of the grinding machine is to attach a split tee to the coolant feed line and attaching a small length of garden hose with a spray nozzle. This allows you to get to all areas for a rinse after each job. Take the time to flush the coolant hoses as they also contain bacteria. And don’t forget to wipe down the splashguards or curtains. If your machine is equipped with a hydraulic table you will need to periodically check the hydraulic fluid levels and clean or change the hydraulic fluid filter. If your machine has a mechanical feed then you’ll need to make adjustments to the belt drive. If it’s a direct drive then you need to check the fluid in the gearbox on a semi annual basis. The tilt of your machine needs to be adjusted according to the manufacturer’s instructions. All grinders have a leading edge in reference to the position of the grinding wheel. In general, the grinding head is tilted as much as .005″ to .015″ left to right and zero front to back. Always check the manual for how to set the tilt on your machine. If you experience dragging or a back cutting pattern this is an indication that the head tilt is out of adjustment. Older machines using a solid grinding wheel require similar maintenance such as cleaning the coolant, checking the bolt holes to insure they are clean, removing any rust or scale from the mounting surface prior to mounting the new wheel. If you have a broach, that means you have carbide tips that do the cutting. These tips need to be sharp and set correctly. Mount a magnetic base dial indicator and set them according to the manufacturer. A good rule of thumb is all tips should be within .0005″ for a proper finish. Keep in mind broaches are extremely sensitive to level. You must do a complete four-point level to achieve the desired finish results. There has been quite a rush to CBN (Cubic Boron Nitride) in cutting iron in the last ten years. Some machines are just wet grinders converted to use a CBN bit. Others have been designed to be a CBN cutting machine. Set up is critical when using CBN. The aggressive cutting action it delivers is directly related to how true the set up is and how conscientious the operator is. CBN, an ultra-hard cutting material consisting of polycrystalline cubic boron nitride with a metallic or ceramic binder is primarily used to machine hardened ferrous material. It’s available either as a tip brazed to a carbide insert carrier or as a solid insert. CBN has its limitations. It likes to cut large amounts of material with out interruption. Guess what? The average cylinder head or block has many holes that interrupt the cutting action of the tool bit. With that in mind it’s even more critical to have correct speeds and feeds on your surfacer to adjust for machining cylinder heads and blocks. CBN must be driven by rigid machine tools with secure holding fixtures. As I stated earlier, some CBN machines are simply converted wet grinders, and others are designed as CBN machine. But not all CBN tips are the same. The purity of CBN content separates price from quality. I recommend the titanium coated CBN tips, due to the witness mark left on the tip after you have surfaced a workpiece. Plus the titanium coating delivers longer life. These tips can be rotated about every 2-3 degrees so you can get the maximum life out of the tip. Plus if you’re using a solid CBN tip, after one side is worn out you simply flip it over and use it again. It’s essential that when you rotate the tip, that the holder is clean and the holding finger is sound. There’s nothing worse than having your machine throw a $250 tool bit somewhere in the shop, because chances are you are not going to find it. CBN can also be sharpened. If the tip isn’t fractured, it can be lapped back to spec, extending the life of the tip. PCD (Polycrystalline Diamond) is an ultra-hard tool material (substrate) consisting of a synthetic polycrystalline diamond tip brazed to a carbide insert carrier. Primarily used to machine non-ferrous materials at high speeds, PCD has been developed specifically to machine aluminum. CBN only smears the aluminum when removing metal without producing the necessary finish today’s aluminum heads require. To extend the life of your tooling, use adequate lubrication. Well-organized tooling is essential. If you have to chase around the shop to find the necessary bolts, washers and tee nuts, it just adds time to the job. Either get a tool board from the manufacturer or build a tool board right next to the machine. Check your mounting hardware for nicks, burrs and thread damage and replace or fix as required. There is nothing worse than having a job get tossed out of the machine with tooling failure due to lack of maintenance. You may think that all I preach is maintenance, maintenance and more maintenance. However, without continued maintenance of your machines, you will not be getting the desired results your customers expect when it come to surfacing their components. Remember a clean and well-maintained machine will deliver many years of accurate service. Plus it will have more resale value when it’s time to upgrade. Manual dressing of the grinding wheel is an important factor in producing satisfactory work on your crankshaft grinder. The wheel must be dressed each time it is placed on the machine, even though it may not have been removed from the wheel center. Mount the wheel dresser on the grinder table. Bring the rotating grinding wheel up close to the diamond and start the coolant flow. Never dress without coolant. Frictional heat buildup can cause the diamond to come loose or separate from its mount. Lack of lubricating properties, along with cooling, needlessly abrades the diamond. Best results will be obtained if the diamond is brought into contact with the center of the wheel, fed in a maximum of .002″, then traversed each direction (left and right) off the edge of the wheel. Learning the best traverse rate for dressing the wheel is a matter of trial and error for each operator. You have to be fast enough to prevent glazing, but slow enough to minimize spiral lead marks. Dressing from the center of the wheel out to each edge helps minimize the effect of the spiral lead marks on the finish of the workpiece. Do not remove over .002″ per pass. Excessive in-feed will cause the wheel to act like it’s loaded. This results from wheel material being “pasted” into new exposed wheel porosity. The type of dress applied to the grinding wheel may be changed to suit different grinding needs. A rapid traverse will remove large amounts of material quickly. A slower traverse will produce a more desirable finish, but won’t remove material as rapidly. Whenever the sides of a grinding wheel are found to run out, they should be dressed. With the dresser mounted to a table, bring the diamond into contact with the grinding wheel near its front corner, feed in a maximum of .002″. The wheel is then fed in and out until the necessary amount has been dressed from each side of the wheel. When regrinding a crankshaft, every effort should be made to duplicate the original corner radii to prevent the crankshaft from being weakened. Position the diamond in the holder facing out the front. Slide the holder back, position and lock the radius adjuster at the desired dimension. Then slide the diamond holder forward until the diamond contacts the radius adjustment stop. Tighten the diamond holder, unlock and retract the adjustment stop. Feed the wheel into position fully forward. Using fine feed, bring the diamond into contact with the front face of the wheel and dress the full width. Then back the wheel away from the diamond .004″, loosen the swivel lock and remove one of the stop pins so the upper swivel can be rotated 90° of travel. While pivoting the diamond through its 90° arc, bring the wheel into contact and dress of the required amount from one corner. Repeat this process for the opposite corner by replacing the first stop pin and removing the second pin to provide 90° rotation in the opposite direction. Be sure to keep your diamond dresser tools sharp. Rotate the diamond 30 to 45° after each dressing operation. Remember, if you have more questions, contact the Goodson Tech Department at 1-800-533-8010.